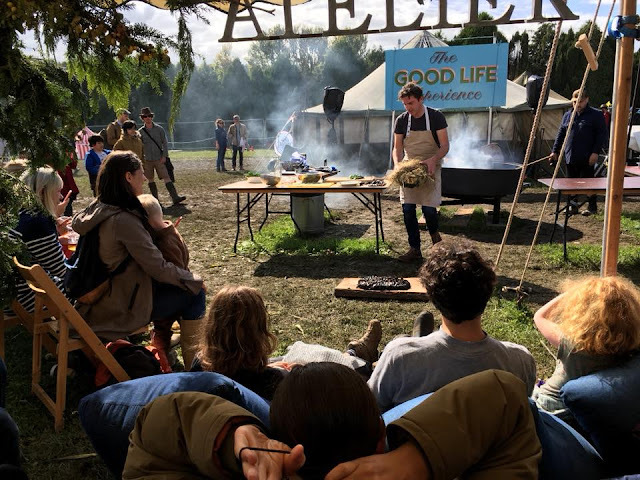 At the beginning of September, Pedlars very kindly invited myself and D back to The Good Life Experience, a three day festival held on the Hawarden Estate in North Wales that has very quickly become my favourite weekend of the year. It was founded by four friends; Charlie and Caroline Gladstone, Cerys Matthews and her husband Steve Abbott. 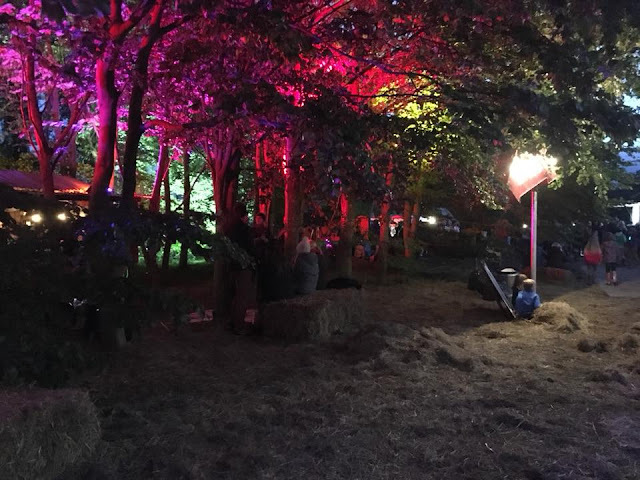 Four years ago they set about creating a festival that reflected the common desire to return to a simpler way of life, the kind of life our parents and grandparents lived where good times didn't depend on money and excess, where we made things and grew things and past times didn't revolve around high resolution screens, but around each other. The festival is a celebration of food, music, books and crafts people - all the good things in life. We arrived to find the same glorious blue sky that greeted us last year, but a week of rain the the lead up to the weekend also meant a great deal of mud - and it was all the more fun for it! We put up our tent to the sound of music in the distance and I could hardly contain my excitement. I felt as though I'd come home when we arrived last year, and knowing what to expect made me even more eager to get in and immerse myself in the joy of it all once more. Yet again, the only negative I can draw from the whole weekend is that you could do with a time-turner; there's so much happening that you couldn't possibly see everything, and choosing which things to miss is such a tough decision to make. We perused the line-up with some lunch from Claw who we discovered last year and were hoping would be back again. They serve a whole host of crab and seafood goodness, and we went for the crab on fries which is a rather inspired combination. We decided first to see Micheal Rosen. I'd been wondering which bit of the weekend would make me cry this year, and it turns out this was it. Micheal Rosen is of course famous for 'We're Going on A Bear Hunt' and he saved this performance till the very end. Before that though, he took us on an animated and completely hilarious journey through his childhood, all the time looking just like the Quentin Blake illustration of himself. We heard about his inability to hear the word 'bedtime,' how heading to the bathroom meant it was time to muck about and felt his Dad's fury after finding the top of the toothpaste buried inside his shaving soap. His explanation? Pirates, of course. It was really quite overwhelming to watch the command he had over his audience - children and adults alike were repeating his lines back to him, and gasping with horror when his mum discovered his midnight chocolate cake feast. Such a wonderful poet and performer, and we both feel quite honoured to have watched, with tears rolling down our cheeks, him doing his thing. Next it was over to the Campfire cooking stage for something else that I found rather overwhelming. As you might remember from my recent post about podcasts, I've recently fallen in love with Harry Eastwood and her ethos on meat. 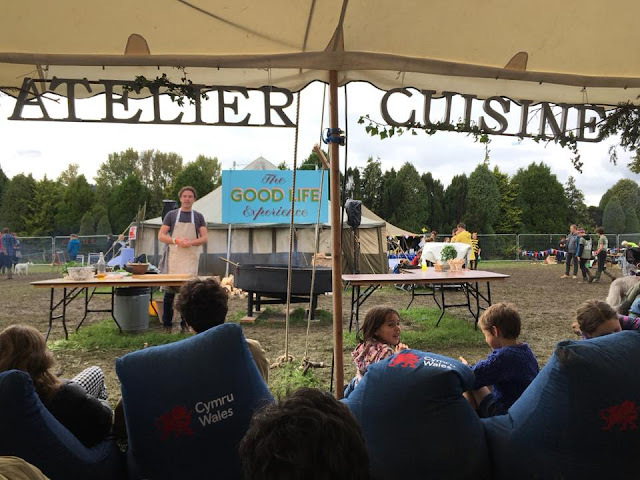 Listening to her talking about honouring and savouring each piece of meat you eat was completely inspiring and cemented our feelings about lessening the quantity and upping the quality of the meat we choose to eat. I had one of those joyous moments where I want to jump up and down and bestow thanks on a person for articulating the jumble of feelings that reside in my head. Also, by following the simple tips gleaned from her talk we've since cooked the best steak we've ever had! Just look at my happy little face! It's mostly because of Harry and her demo, a little bit because of the table of foraged mushrooms next to me, and quite a lot because of the lavender soda and spiced rum I'm clutching. I spotted the Lurvill's Delight stand at about 300 paces - lavender and rum are two of my most favourite flavours, and they combined to make the most beautiful (and refined sugar free) riff on a 'dark and stormy' - I may have had more than one. 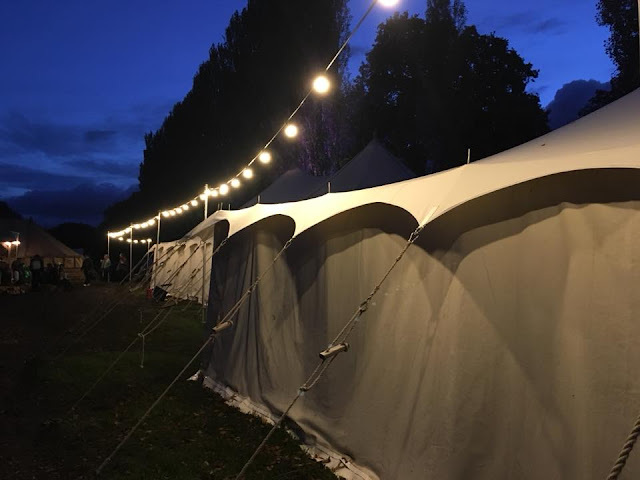 Both Makers Row and The Marketplace were bigger and better than last year, with some of the most talented craftspeople sharing their skills and the most incredible wares for sale. D had an excellent time selecting a new beard oil from Old Faithful and I spent a considerable time stroking some beautiful knitted baby clothes from Mabli. 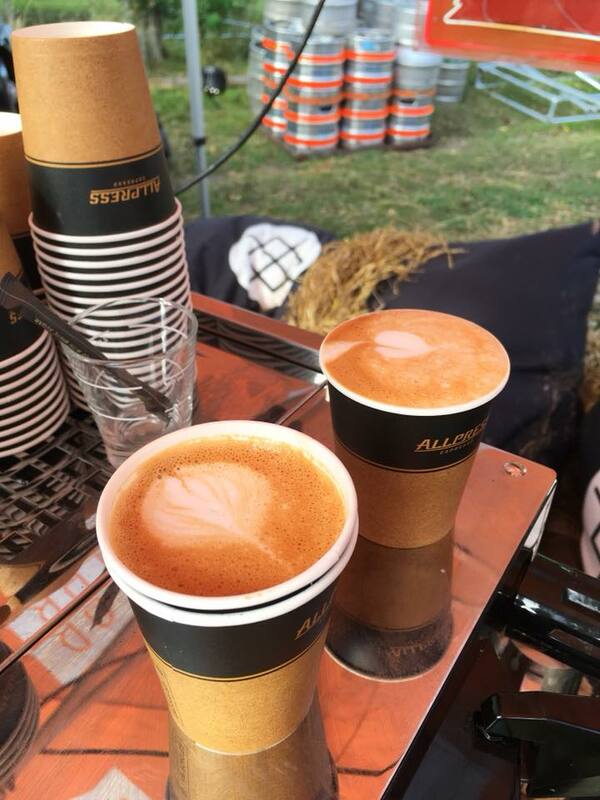 Most of the purveyors are local and it's a real celebration of Welsh makers! 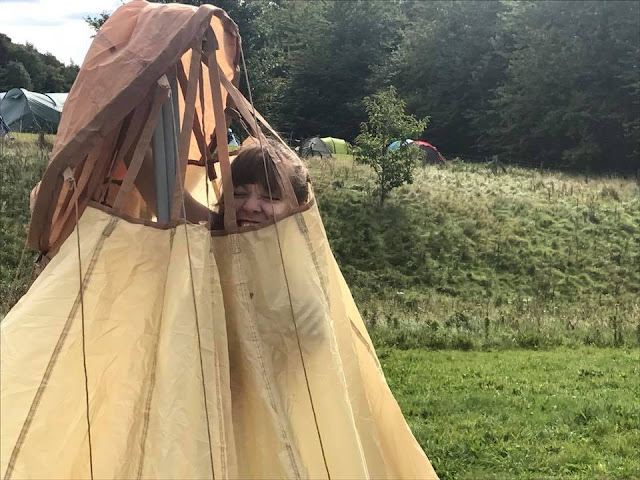 We didn't manage to get booked into any workshops this year, but watching people creating things with their hands, sometimes for the first time, was marvellous. Parents and children made screen prints together, arrows were sharpened and leather punched. This isn't craft in the toilet roll and sticky back plastic sense, this is crafting in the true sense of the word, making something real and tangible using your hands. I love to think that for some of the children, and maybe some of their parents, that this weekend might unearth a passion that will stay with them for the rest of their lives. The festival site takes on a whole new magic as the sun goes down. 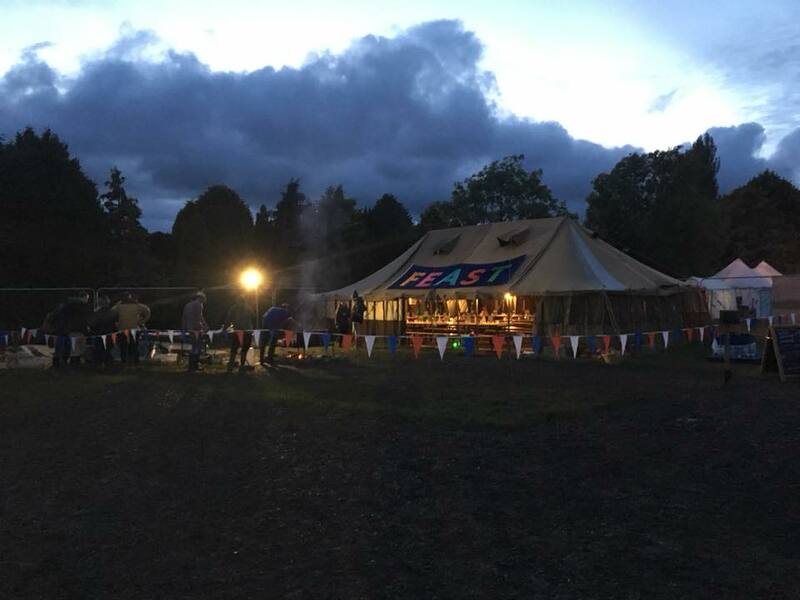 The camp fires are lit, and the music turned up. 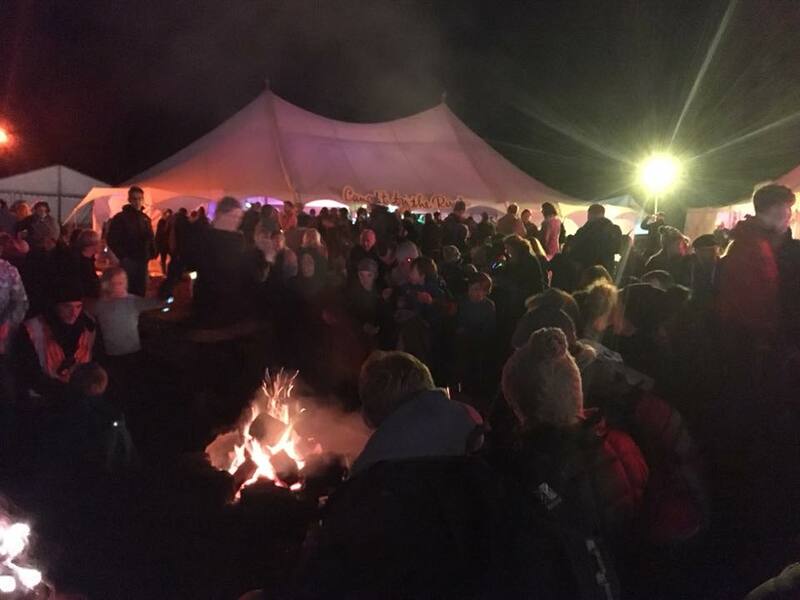 Children get wrapped up a little bit more, eyes wide with the delight of a late night and a hot chocolate and 'yes you can have one more marshmallow' or they're tucked in to wagons adorned with fairy lights to sleep while the rest of the family carry on the party. 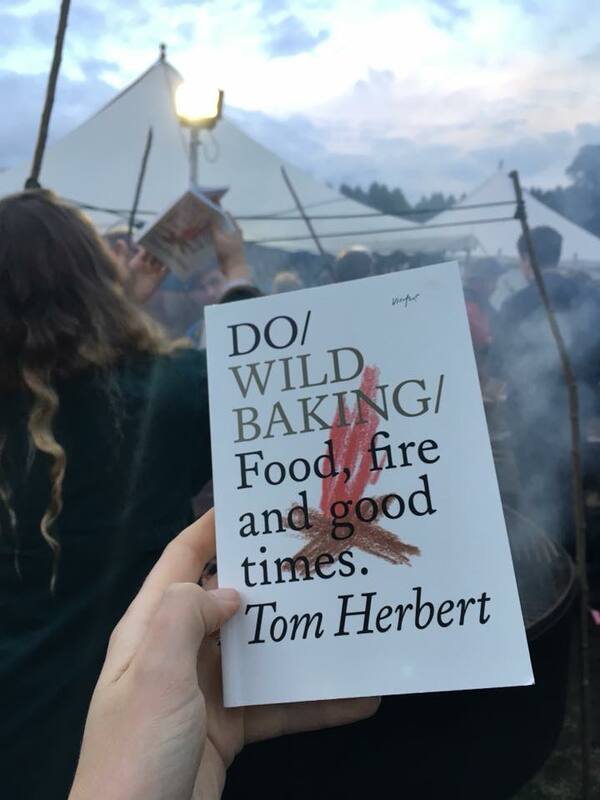 We headed back to the campfire cooking stage for Tom Herbert's book launch which was absolutely inspired! 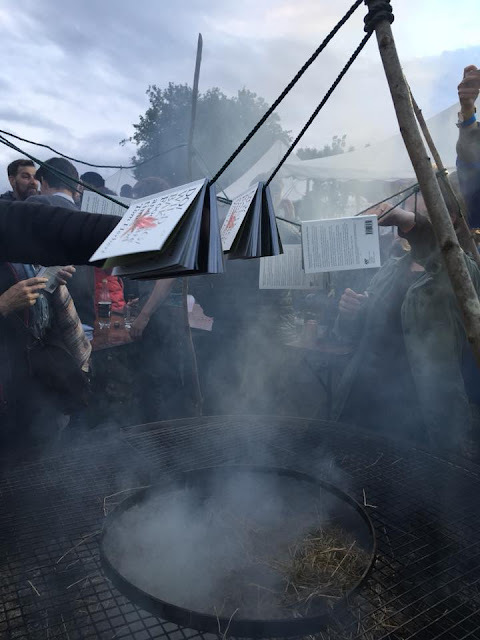 After chatting to Tom, and getting a copy of his new book Do Wild Baking - Food Fire and Good Times signed with the dedication 'Bake Together Forever' we hung it up over the camp fire to 'cold smoke,' to infuse it with the wonderful smell of the smouldering fire. It's well known that the sense of smell evokes a stronger emotional response than any of the other four, and flicking through the smokey pages immediately transports me back to that night, full of inspiration and memory and the reminder to get outdoors and cook. 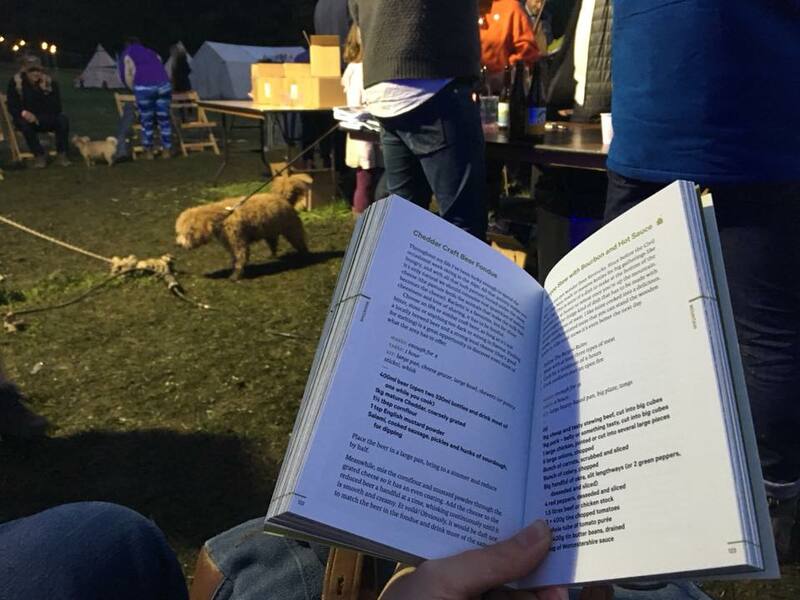 As we sat huddled around the smouldering fire, drinking beer, inhaling the scent of smoke now tucked within the pages, watching muddy dogs fighting over beef bones and scraps from the days cooking, I had felt the exact same sense of belonging as last year. There's something tribal about it, a sense of camaraderie and shared joy that makes everyone feel like instant friends. 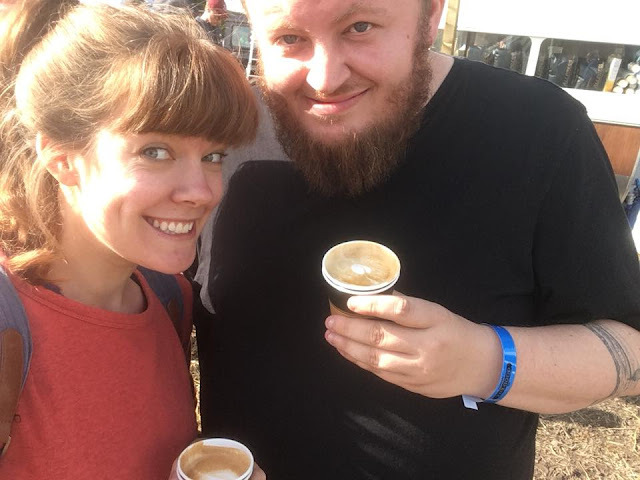 On Sunday morning, after a breakfast of bacon and fried duck egg sandwiches, I challenged D to a coffee-off. Allpress coffee were teaching people how to make espresso based coffees, and ever the competitors we decided to show off a bit! We decided diplomatically that mine looked better, but D's tasted better - so as ever we make a pretty good team. We then headed to a talk with Harry Eastwood and Felicity Cloake, guardian columnist and author of four recipe books. They both have such a passion for food, and a fascinating way with words which made their talk utterly compelling. 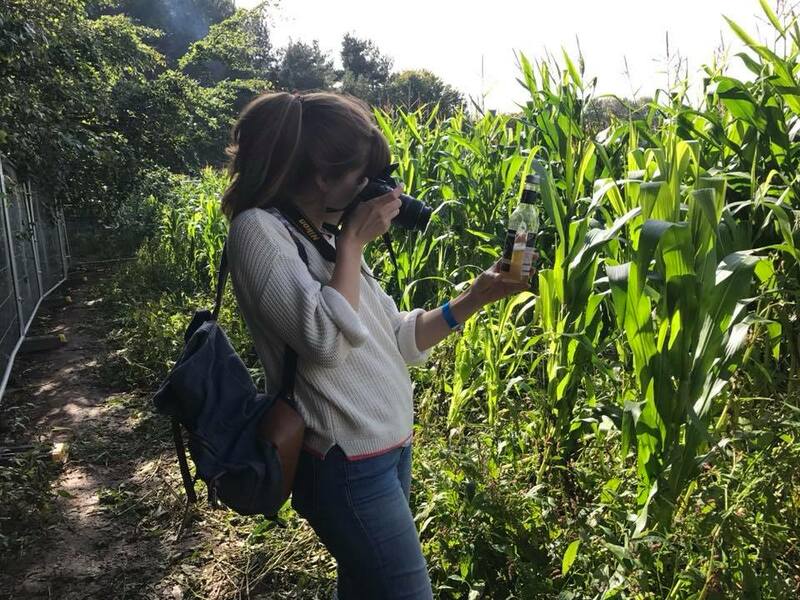 From cycling round France and inhaling the bread basket to a comparison between the compulsive nature of both Mills and Boon novels and a bag of Wotzits, the two of them together sparked an idea in me that perhaps food might play a bigger part in my life than I ever imagined. 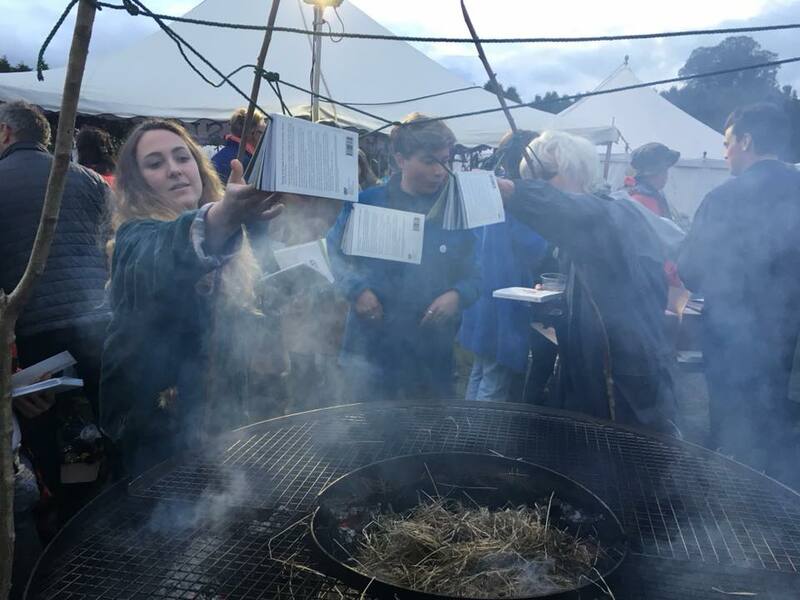 Next up - just to add to the layers of delicious overwhelm now piling up on top of me we headed back to the campfire to watch Gill Meller (long standing fantasy love interest of mine) cook Mussels Eclade - or, mussels cooked with fire. 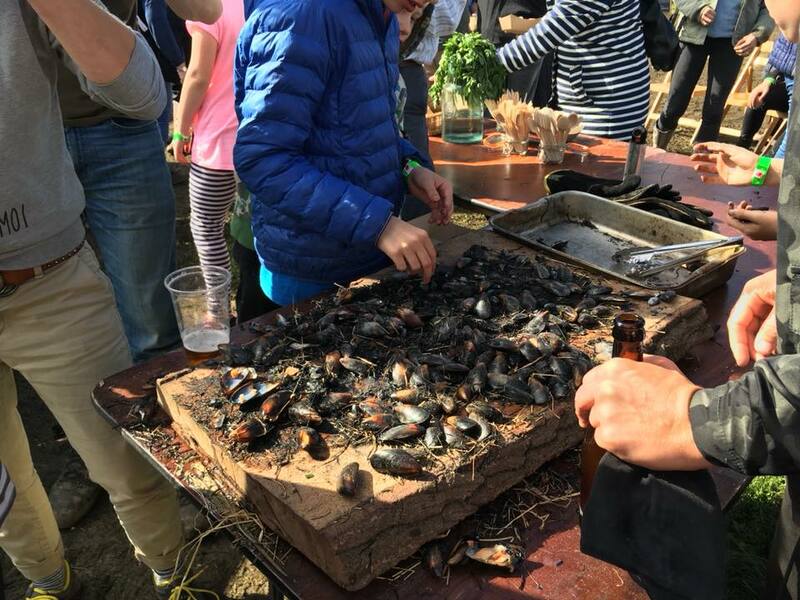 The plan was to arrange the mussels, opening down, on a large piece of wood, cover them with pine needles, set the needles on fire and have the heat and smoke cook the seafood to perfection. However - the lovingly collected pine needles had somehow gone astray, so hay was employed instead and the result was wonderful, sweet, juicy and perfectly smokey mussels. It was with very heavy hearts that we packed up the tent and headed home. I can't fully express how being here makes me feel. I think I said last year that walking into The Good Life Experience was like looking at the inside of my head laid out infront of me and that was completely true again this year. If you could give physicality to the emotion of joy - then this weekend nails it, and I haven't even mentioned that everywhere you look there's a dog to make friends with too. It's something really really special - every single moment of it is so felicitous that it all feels like such a celebration. Every person, whether they're a chef or a maker is so passionate about what they do that you can help but be infected by that same passion too. What I find so wonderful is that everything is aimed at adults and children alike, and the utter joy of making something with your hands can be seen everywhere, from children who have never felt so proud, to adults who had forgotten what that feeling is like. Here's to The Good Life.